Allison Aubrey Allison Aubrey is a correspondent for NPR News. August 31, 2010  Scientists have long known about the link between severely premature birth and cerebral palsy, a condition that limits mobility and movement. But a new study shows that children born just two or three weeks before term also have a higher risk of the condition. 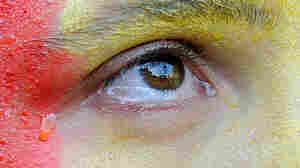 August 23, 2010  We need tears to keep our eyes lubricated, but why should streams of salty drops spew forth from our eyes, blurring our vision and making our eyes puffy when we get emotional? Throughout evolution, tears may have added a new dimension to human communication. August 9, 2010  Vegan, smegan. Meatless Monday devotees don't want us to deprive ourselves of meat entirely. They say going vegetarian one day a week is enough. It's the incrementalist movement that's gathering steam among chefs, public health officials and retired boomers who want to keep their hearts ticking. July 22, 2010  Federal investigators found evidence of overblown and deceptive claims to consumers by sellers of genetic testing services. 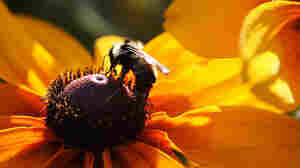 July 19, 2010  From urban rooftops to suburban ranches, apiaries are hip. As the ranks of backyard beekeepers grow, they're reporting some mysterious and sometimes disturbing behaviors, including the disappearance of whole hives. And what about the honey? Is it really good medicine, or just a sweet treat? 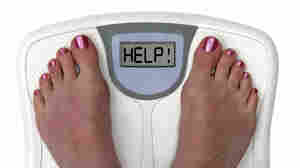 July 8, 2010  Calories in need to go down, calories out need to go up, the International Food Information Council says. July 5, 2010  Scientists haven't documented any long-term health effects from eating bad pine nuts, just an annoying, temporary metallic taste in the mouth. June 28, 2010  Studies suggest that a daily caffeine habit may help protect against Alzheimer's disease. But, new research indicates that the cup or two a day that most Americans drink probably isn't enough to give any benefits. And even if you're buzzing on coffee, researchers say a person's Alzheimer's risk is largely determined by genes. June 21, 2010  Contrary to what scientists expected, it turns out that people with stronger taste sensations, called "supertasters," love lots of salt. 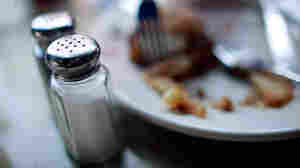 The new findings help explain why some have to work harder than others to cut back their sodium intake. 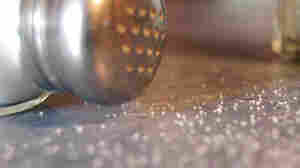 June 15, 2010  An expert panel advises the government to revise nutritional guidelines to reduce the amount of salt, sugar and saturated fat in Americans' diets. June 13, 2010  Body checking -- or using your body to block another player -- is legal in professional hockey. But a new study finds it leads to higher rates of brain injury among youth players. Now the governing body for U.S. ice hockey is debating whether the game needs age restrictions for checking. June 7, 2010  Two new studies show that getting more sleep at night can improve everything from a football player's 40-yard dash time to a preschooler's vocabulary and math skills. The results are the latest in a growing body of research that highlights the perks of getting a good night's sleep. 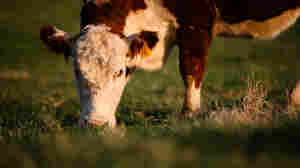 April 8, 2010  A decade ago, there were fewer than 50 grass-fed-cattle operations in the U.S. Now there are thousands. Clearly people are eating this meat. Trendiness aside, is grass-fed beef more nutritious than standard, corn-fed beef? 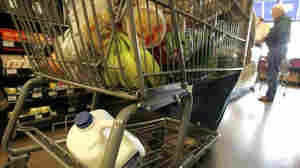 March 15, 2010  Researchers set up an experiment to see how prices influence what kinds of food moms buy. They found that lowering the prices on fruits and vegetables did lead to moms buying more. But it didn't stop them from buying junk food, too. 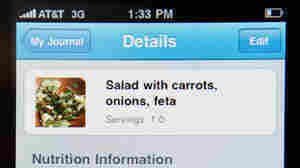 March 5, 2010  There's a bumper crop of iPhone apps to help you lose weight. We try a couple and find some nifty features.